After the tremendous success of the flash version, Earn To Die game is now available on iTunes and Play Store. The game begins with the player being stranded on an island full of zombies and the only means of survival is a run-down car. Players have to escape from the hordes of enemies with the help of their car. The game is based on a rag doll graphic mechanism where zombies go flying in the air on getting hit with the vehicle. The App version of the game can be acquired for a reasonable price from iTunes and Play Store. The Android version of the game has over half a million installs to its credit whereas the iOS version of the game is rated as the Top 10 iPhone app in over 40 countries. 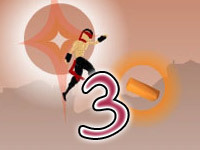 The Lite version of the game is also available on iOS and Play Stores as a Freeware and it provides the users with limited access to the levels of the game. The HD version of the game is exclusively available on iTunes for Apple iPad with retina display. The game features 2D graphics and side scrolling gameplay, which is popular among people of all ages. Players are provided with 8 vehicle options which include the run-down car, monster truck, school bus, and race cars. The App version has an extended story mode that provides the users with amazing gaming experience. The App version brings a new Championship mode where players can race with other players to complete levels in the best time. The upgrade option allows the players to upgrade the vehicles. These upgrade options ranges from car upgrades, defensive upgrades, offensive upgrades, etc. These upgrade options enhance the car’s performance, defensive, and offensive capabilities. Players are awarded Coins at the end of each level on the basis of the number of zombies killed, damage taken or inflicted, time taken to complete the level, etc. These coins can be used to acquire additional vehicles or upgrades for existing vehicles. The game also features paid items which enhances your growth in the game. Gamers can complete different achievements in the game and keep tabs on the next milestone in the achievements menu of the game. The Earn to Die App is seriously a must-have application for everyone who enjoys playing games based on Zombie Apocalypse. Don’t forget that you can play Earn To Die on your PC as well. If you have a smartphone with a small screen – I recommend playing the game in your web browser. There are many websites that you can play Earn To Die on, my favorite one is earntodieworld.com. You can actually find there all the games from the Earn To Die series (and there are many of them ! ).